Properties in Ohiwa Harbour average 4.6 out of 5 stars. Property 4: OHIWAHEAVEN True traditional Kiwi Bach Secluded!! Property 5: Ohiwas' Best Bach, Clean, Cosy and Private. 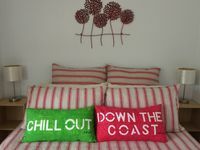 Property 6: Ohope Beach paddlers paradise!! Property 11: Stunning seaside retreat on Ohope Beach. Property 30: Ocean front home at Ohope Beach. 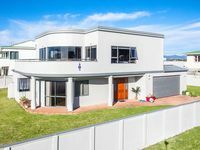 Property 41: Modern 5 Bedroom Beach House in Ohope!